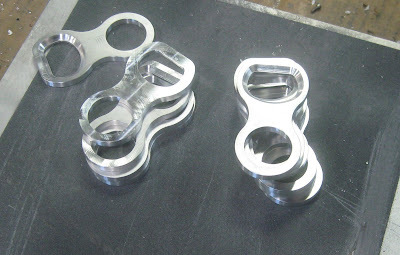 Here are some pics from the manufacturing process. 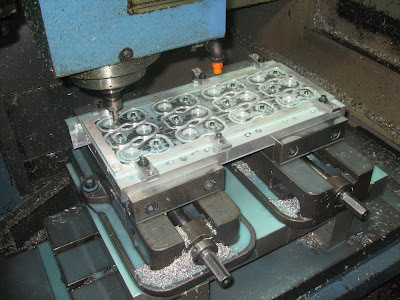 The part's inside and outside profiles are CNC-machined out of a 1/4" thick sheet of material on one machine. Both surfaces of the sheet are machined to meet the final part thickness requirement of 0.197" [5.0mm]. 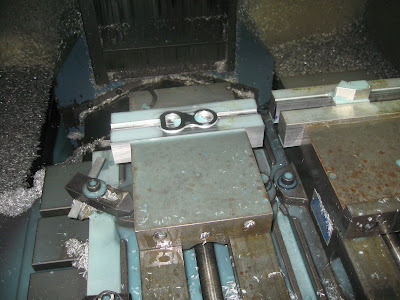 Individual parts are then loaded into a second machine to add the chamfer feature onto the lip of the bottle opener. This step is critical to guarantee the bottle opener works every time you want to open a beer! Parts are then sanded and deburred to remove any sharp edges left over from the machining process. Damn I love metal working!